NOTE: POINTS WILL ONLY BE AWARDED DURING THE TIME YOU ARE SIGNED UP AS A MEMBER. EXAMPLE – IF YOU SIGNED UP IN JULY YOU CAN NOT GET POINTS FOR A SHOOT YOU WON IN FEB. SAME THING APPLIES WHEN TAKING ANIMALS FOR COMPETITION. The following is a point value for determining Bowhunter of the Year. All score sheets must be turned in to Harold Gregory (812-277-6816), no later than January 2, 2020. Competition dates are Jan 1st thru Dec 31st each year. All animals must be taken in accordance with Pope and Young standards of fair chase and Indiana game laws. Bow let off of 80% and crossbows are allowed. All kills should be witnessed, if possible. 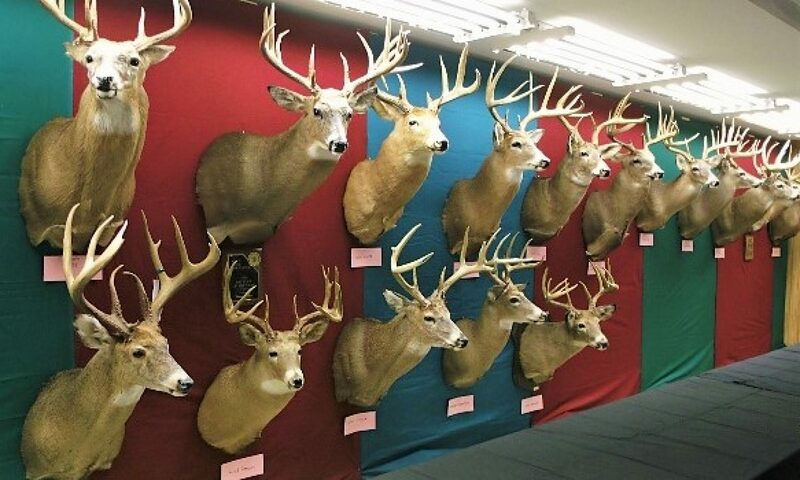 Animals with a point value of 50 or less may be taken in any amount, in accordance with Indiana State Laws, with a maximum of 100 points per species. Animals with a point value of 100 may be taken in any amount, in accordance with Indiana State Laws, with a maximum of 200 points per species. Be fair with your fellow competitors and the game you are hunting. Abide by all laws which pertain to the game you are hunting and be honest with yourself. Archery is an honorable sport, let’s keep it that way. Winners will be announced at the annual meeting and the winner’s names will be put on a plaque and displayed at the club house. Competition dates is Jan 1st thru Dec 31st each year. In order to qualify for Big Buck and Big Doe Awards the deer must be taken in Indiana and be accompanied by the tag number given you at the check in station. Deer must be taken in accordance with Pope and Young standards of fair chase and Indiana game laws. (80% Bow let off and crossbow’s are allowed). Doe’s will be scored by weight after field dressing (no internal organs). All does will be weighed in with Harold Gregory, 812-277-6816. Bucks will be scored, using Pope and Young scoring system. All bucks must be checked in with Harold Gregory. Deer taken on Dec. 31st must be turned in by January 2, 2020. 9th place=2 pts, 10th place=1pt. If you compete and don’t place you get 1 point for competing. All scores must be witnessed and turned in to Harold Gregory by January 2, 2020.